The times they are a changing. Once not so long ago, Within Temptation was in the vanguard of symphonic metal, powered by the wonderful voice of Sharon den Adel. Early albums like Mother Earth and The Silent Force balanced dark moods with accessible songcraft, and though they were never a super heavy outfit, their overall style fit well enough in the metalverse. Over time their sound became more glossy and pop-centric, drifting closer and closer to alt-rock, culminating in the commercially grasping dumpster fire that was 2014s Hydra. Four long years have gone by without a followup, reinforcing the bad taste that album left behind. The music scene has changed during their absence, and the band went through struggles of their own. Sharon battled with exhaustion and personal issues that left her wanting to write softer, more poppy material. 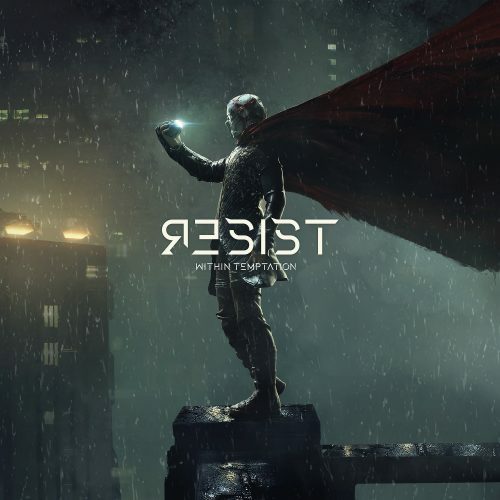 One thing led to another and we finally get Resist, the band’s supposedly protest-themed latest, which was originally scheduled for release in December but was delayed due to “production problems.” What has four long years done for the Within Temptation brand? Nothing good, that’s for sure. Picking right up where Hydra left off, the band continues its fixation with guest spots from musically irrelevant quasi celebrities. Opener “The Reckoning” sports a throbbing techno undercurrent and features the vocals of Jacoby Shaddix of Papa Roach alongside Sharon. It’s Evanescence-grade alt-rock emo-angst, and though it’s the heaviest song here, the use of blaring techno beats and half-hearted “metal” “riffs” is completely unsuccessful. It feels like a throwback to the nu-metal wave of 2000, and Sharon’s saccharine sweet vocals kill even the vague illusion of anger or aggression. Despite Shaddix’s efforts to give the song a little punch and grit, it’s all ultimately for naught. Follow up “Endless War” is slightly better but feels like a watered down outtake from their The Heart of Everything era, and the chorus strives for catchy but only manages tolerable as things spiral downward. Anders Fridén (In Flames) shows up on “Raise Your Banner” to provide some screamo-core background noise on another attempt to be heavy that comes across like a bad My Chemical Romance number. The low point here, and possible in the band’s career, is “Holy Ground” where Sharon tries to toughen up her vocals, sounding like she’s about to lapse into rap as she hilariously goes for “edgy” and “street.” It’s destined to be one of the most cringe-worthy moments of the new year and I can’t hear it without laughing out loud. Most of the remainder of Resist drifts by in a corporate focus group tested miasma, with emotionless power ballads interwoven with vacuous, cheese-infected soft-rock numbers, some of which could probably chart on pop country radio (hello, “Mercy Mirror”). Closer “Trophy Hunter” is the only song that reminds me of the good olde days, but even this is only marginally entertaining and not enough to bring me back to the protest march. Resist is the sound of a band going through the motions of delivering what they think their audience wants to hear when they would rather do something else entirely. It’s empty and uninteresting, and based on the trajectory of their sound, likely the last release of theirs we will be covering1. Add in the delayed release and I can’t help but get the feeling the band and/or label knew they had a dog on their hands. It’s hard to reconcile albums like Hydra and Resist with the band I once enjoyed. 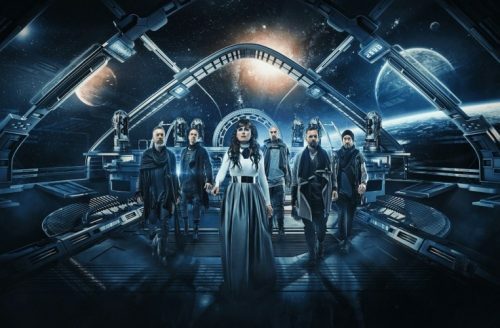 Music scenes and individual tastes evolve over time, and unfortunately for Within Temptation, they’re stuck devolving into a pop-encrusted mush. It’s a real shame, but here we are. Resist we must.